After leaving the bells behind, it was up to the roof of the tower, one of the highest points in the town and a great place to take in (or try to) everything from the immediate surroundings to the distant horizon, in all directions. I got quite excited today at the unexpected chance to explore the bell tower of St Bartholomew’s Church. The bell above, one of eight, was made in London and installed in 1814 along with 5 others. The other two date from some time later. I had a go at ringing a couple of the smaller ones. It was much harder than I thought it would be and the whole business of ringing bells properly was explained to us by a few of the current ringers. It is a very complicated business! After leaving the ringing room, it was up more spiralling steps to the bells above. John Fort was the bomb-aimer on the Lancaster Bomber AJ-J, one of 18 aircraft taking part in Operation Chastise, 16-17 May, 1943. Operation Chastise is better known as the Dam Busters raid. John was born at the Shooters Arms in Nelson on 4 July 1912 and references are made online to him having attended Christ Church School in Colne. Whilst no conclusive proof has been found in the school records – the admission registers do not survive for the period and no mention is made of him in the log book – it seems very likely: his brother Robert certainly attended and the school was across the road from Bents Brewery, the Fort family business and home. John’s aunt Annie was a teacher at the school, starting as a pupil there before becoming a pupil teacher. She eventually became head teacher at Lord Street School in the town. John joined the RAF in 1929 and went on to serve as a member of the ground crew on the aircraft carrier HMS Glorious. When the Second World War came, he volunteered for air crew training during which John was selected as a specialist bomb-aimer. 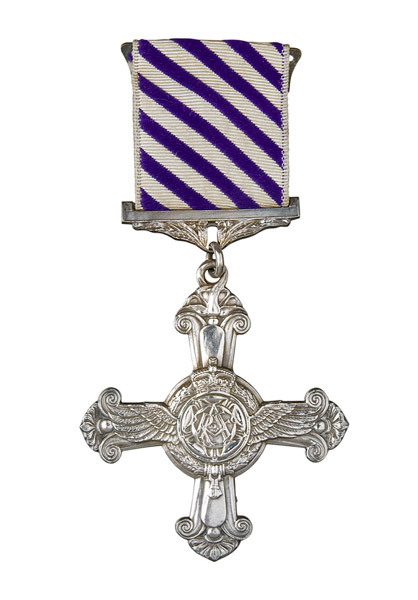 For his role in Operation Chastise John was awarded the Distinguished Flying Cross. …and the Christ Church memorial. In 2015, the specially-made sight used by John to aim the “bouncing bomb” on the approach to Mohne dam was sold for over £41000. Read more. I found this pamphlet recently on a secondhand book stall, my eye caught by the wonderful cover design. It’s a really interesting brief history of the Nelson Weavers’ Association published in 1922 to mark its 50th anniversary. There’s a website where you can see archaeological finds made across the country by membrs of the public, including many discovered in Pendle. These include some of the oldest evidence of human activity in the area, thousands of years ago, and many other accidental survivals, remarkable hints at past lives from more recent centuries. These discoveries, along with over a million others nationwide, have been recorded as part of the British Museum’s Portable Antiquities Scheme. Find out more, and search the database here.